NOVACT are about to revive a sound progressive, melodic and highly atmospheric. The band usually operates in mid tempo shooting off with colourful vocals and glancing keys sometimes relating to gothic splendours of northern Scandinavia (close to a frosty Finland) not commonly practiced in this often math bouncing genre. 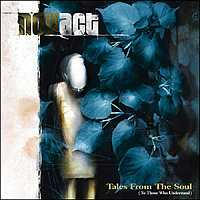 “Tales From The Soul (To Those Who Understand)”, it’s the perfect title chosen for their debut given the atmospheric themes surfacing on every song, “Hope And Fear” sums up their trademarks being both technical and deeply atmospheric without sounding like DREAM THEATER’s second cousin. Guitars churn out a very enjoyable blend of melancholic melodies and streaming riffs rocking out with the upbeat drumming. Neoclassical interplays don’t take too much of space, just a few section to cast highlight on the accomplished musicianship though not robbing them of their affectionate song writing. Comparing NOVACT with PAIN OF SALVATION would be me exaggerating. 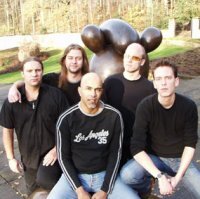 The Dutchmen don’t have that hyperactive temper plus they don’t go walking over several genres or mix too many different sounds together, however, fans of the genre, especially the ones loyal to P.O.S. can’t miss out on the fragile and surprisingly saddened atmosphere connecting them with the Swedes. “The Rider” is more traditional in style yet with their unique sorrowed sound shedding contrasts against the heavy passages. The album’s winning point is the grandeur of the performance in every song. There’s something indefinable about the caring, introspectively prideful character of this album just listen to “Flower” or “So Help Me Go”, they really aim for the listener’s heart and head, it’s such an rewarding experience if one just let’s the album spin from beginning to end, it kinda brings you closer to… you, in a way.